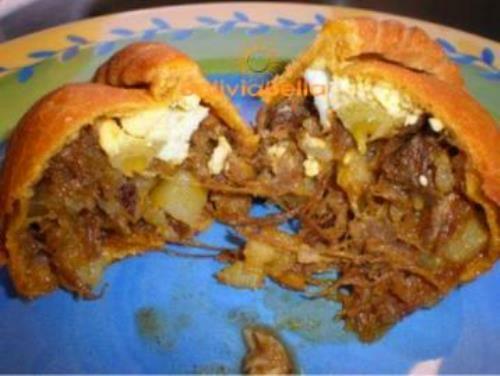 Empanadas Tucumanas. Meat Pastries. 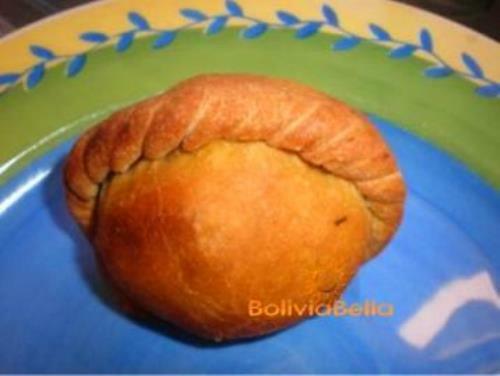 Bolivian Food and Recipes. Bone marrow is used quite frequently in South American cooking. Marrow, although considered nutritive, is also high in fat. When cooked it takes on a white fatty color. Added to cooked fillings such as this one, it is liquidy when hot, but when it is refrigerated, will become solid again. This is what holds the filling together so you can actually spoon it onto the dough. I think marrow is gross but others say it adds a distinctive flavor. I use unflavored gelatin instead but to be truly authentic, use the marrow. Just a few teaspoons of unflavored gelatin powder mixed with about 1/4 cup of water works. Mix it into the filling just after you take it off the stove and just prior to refrigerating. Cook the bones in 6 cups of water. * (You can purchase canned beef broth, but it's usually extremely high in sodium). Fry the onions and chili pepper together in the oil. Add pepper. Place in a pot and add 1 to 2 cups of the beef stock. Bring to a boil, add cubed beef and salt and cook for 10 minutes. Take off the stove. Place in a mixing bowl. Add the potatoes, peas, parsley, sugar, and bone marrow (or unflavored gelatin). Refrigerate overnight. In a mixing bowl mix the flour, salt, sugar and baking powder. Add the eggs and shortening and mix. Add the boiled water little by little until a stiff dough forms (not sticky). Make small balls out of the dough (about the size of a ping pong ball), then roll each one out with a rolling pin until it's about 1/4 inch thick. Fill each piece of flat dough with 1-2 tablespoons of the cold filling. Add some pieces of the sliced or chopped eggs to each. Fold the dough in half, and crimp the edges all around. Deep fry in oil until golden. Scoop out of the pan with a strainer-spoon and place on a plate with a paper towel on it to absorb some of the oil. Serve hot.